Regardless, that bike was still rideable. Not that one would continue to and very unlikely but my point being, its rideable, temporarily perhaps. 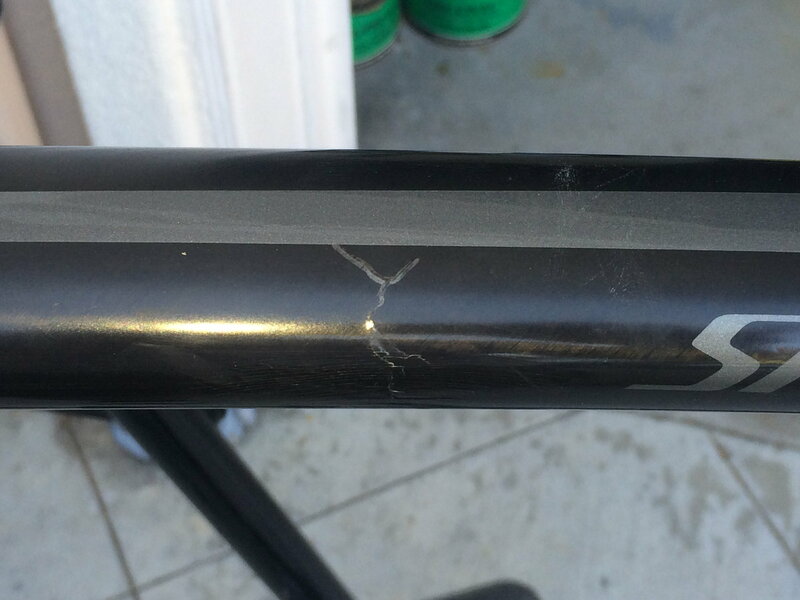 I received a Giant CF frame that was hit by a car, non drive side seat stay snapped clean through the mid-section. The rider was only scrapped up and decided to just reset by force the broken seat stay and continue on! What I found interesting in examining was how stiff the remaining frame is even with the sheared seat stay. I also get it that things break and bad things happen. But use your judgement and keep a close eye on your equipment, tools whatever. I've personally seen including reading enough online (including here) of others mishaps, some very unfortunate. What some risk vs others and how you balance that judgement is always going to be there. Do you park or toss the old carbon bike? Or do you roll the dice?